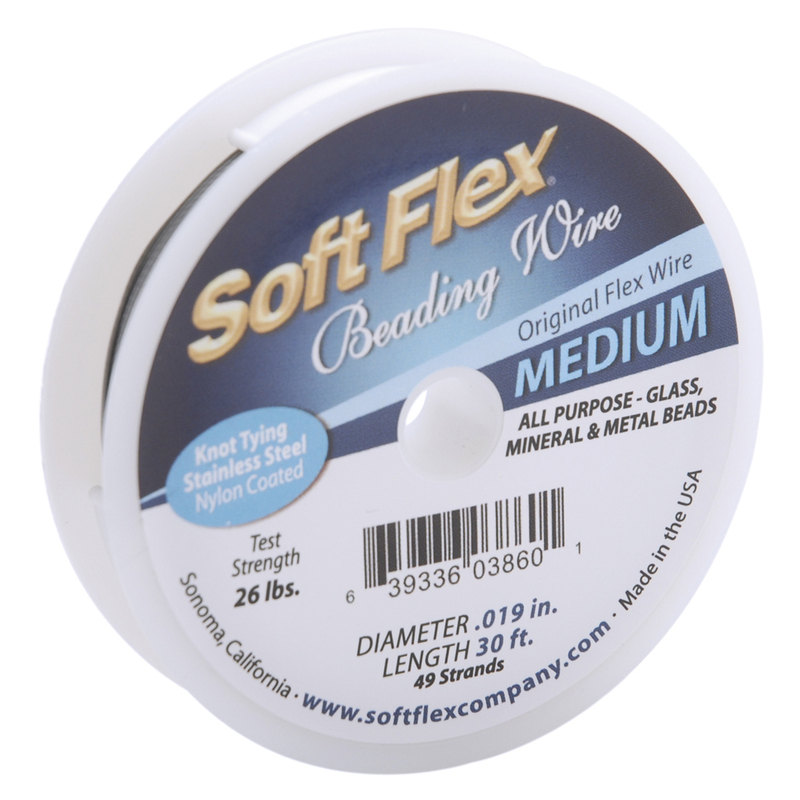 SOFT FLEX-Beading Wire. Soft Flex Satin Silver is the designer's choice of wires. This wire is made of multiple strands of stainless steel for strength and a nylon coating for comfort. Each diameter gives body and shape to each finished piece without sac-rificing durability or beauty. This medium wire works great with glass, mineral and metal beads. This package contains one 30ft spool of 0.019in wire (26 lb). Made in USA.